A lot of us watch The Oscars or the Academy Awards with a lot of interest. Of course, anything from the big wood from far west attracts attention and sparks interest. 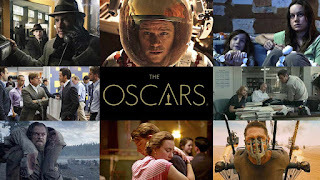 The Oscars was originally called the Academy Awards and is an annual American award function organized by Academy of Motion Picture Arts and Sciences. This is a professional organization that focuses on the industry of motion pictures. Qualified filmmakers around the world (of course, a lot of them are based from USA) are a part of the roster (members of this organization). The Academy designed a statuette, a tall standing man/knight as a symbolic memento for the award. A popular theory was that the nickname for this award was coined by Margaret Herrick (she was one of the earliest presidents of this group) who in 1931 mentioned that the statuette looked or resembled her Uncle Oscar. Later, a famous columnist, Sidney Skolsky took this info and popularized it as the employees commonly called it the Oscar in a New York Daily News article. Walt Disney in 1934 is also known to have popularized it. Well, this is a possibility and not many know what is the actual reason for this nickname. Anyways, last year, the producer of The Oscar or the Academy awards decided to rebrand the event as OSCARS. Hence, this year, we will see it as Oscars 2016 instead of Academy Awards. This year is the 88th year of this award ceremony. The knight or the man in the statuette is actually standing on a film reel. It has five spokes and they represent the basics of film making - director, writer, actor, producer, and technicians. In fact in the recent past social media has helped us stay in touch with the awards tracking every second of the event even as we miss watching this in front of the television. Every year, the glory of the awards go up. This year also the award has made a lot of 'noise' for various other reasons. One of the most important being the lack of diversity in the nominations. Probably to counter that, they have used a few presenters who represent diverse race and country of origin. It is also hosted by Chris Rock, African American actor. It is also said that Priyanka Chopra is also a presenter! That is a big thing for India (at least that is what we presume). Every country around the world pays attention to this award ceremony as Hollywood movies have a big reach all over. This year, the list was not so great as the choice is restricted to amongst the set of movies released during the past year. Yes, a few of the less commercial flicks have been nominated and that is a good news. However, I am not too sure if The Martian was worth an Oscar nomination. I do not disagree with the fact that it wasn't a bad movie, for sure. However, to have it up on the nomination makes me wonder about the credibility of the movie and its work. I also like the fact that Inside Out did get a nomination under Animation. However, that was a class movie that it deserved to be ranked along with the general movie category. It was such a well done movie and super intelligent movie that I was glued to it (yeah, I love animation for sure) for the depth of its meaning. Pixar (Disney too!) never ceases to amaze me and some day, I can visit that awesome place (who knows, work there too). I am yet to watch Spotlight and The Revenant, but the trailers did surely look great. Spotlight is also based off a real life event and the topic is very close to my heart. For the world of music, Star Wars's original score by the legendary John William is on the nomination list. So, is Ennio Morricone for Hateful Eight. Not sure who is going to win it. As for the actor, the world is waiting to watch the evergreen Leo to walk away with the golden man at least this year. He does deserve an award for his amazing portrayals. The Revenant is one that I am yet to watch but the trailer does show the wonderful actor we have in him. He does deserve the award as much as the award deserves him :) If he wins (which I hope), I will make tomorrow's post about him! Whatever it is, the beauty and charm of Oscars attracts every one in the film fraternity even as we discuss about the lack of diversity or gender gap,or anything else. So, those of you who are watching it enjoy the beautiful, bad, tough, and of course, the glamorous world of cinema.